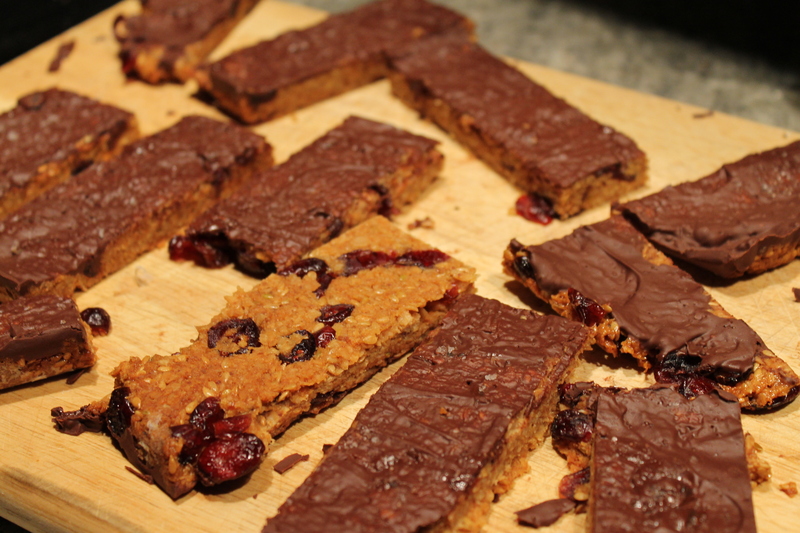 I’ve been getting myself addicted to Kind bars lately — they are delicious, nutritious, and come in so many fun flavors! 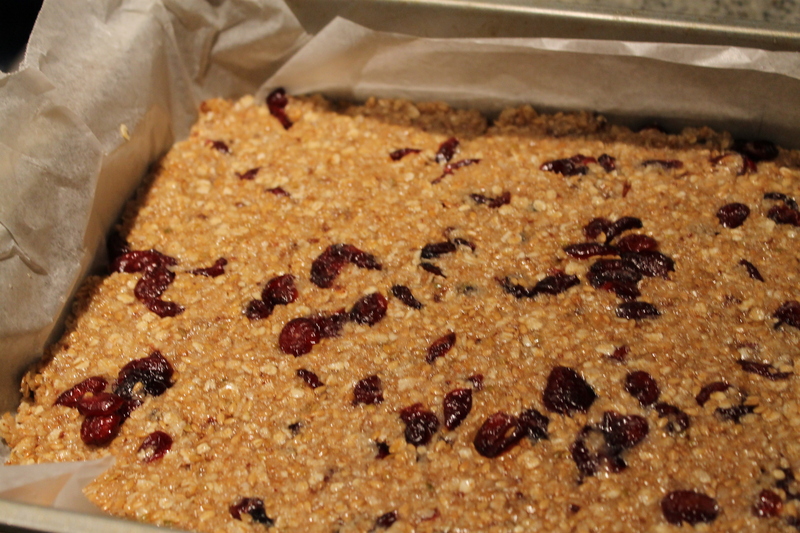 But at about $2 a bar, they really add up over time… So what better way to keep up my granola bar habit AND be fiscally responsible than to make my own! Preheat your oven to 350, combine the oats, flax seeds & coconut on a sheet pan and toast for about 10 minutes, tossing occasionally. Pour the oat/flax/coconut combo into a large bowl and set aside. Turn the oven down to 300. 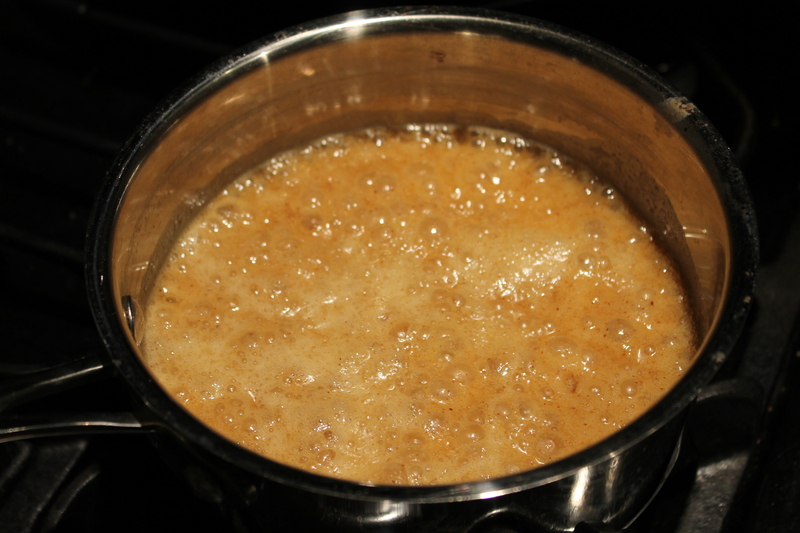 In a small saucepan, combine the honey, butter (if using), almond butter, vanilla & salt, bring to a boil and cook for a minute, stirring frequently. Pour this mixture immediately over the oats and stir until combined. Add the cranberries (or other dried fruit) and mix lightly until incorporated. 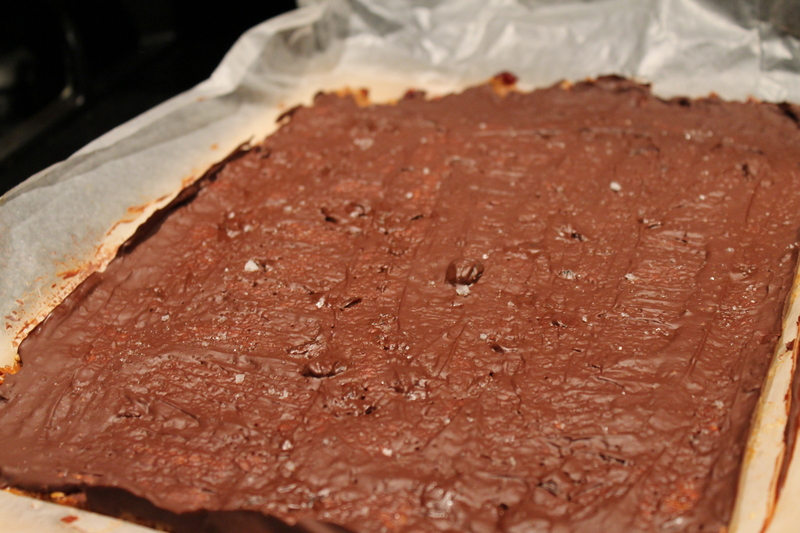 Pour everything into a 8″ by 12″ pan, greased and lined with parchment paper. Wet your fingers and press the mixture down in the pan until it is in one even layer. Be careful, it is VERY HOT! 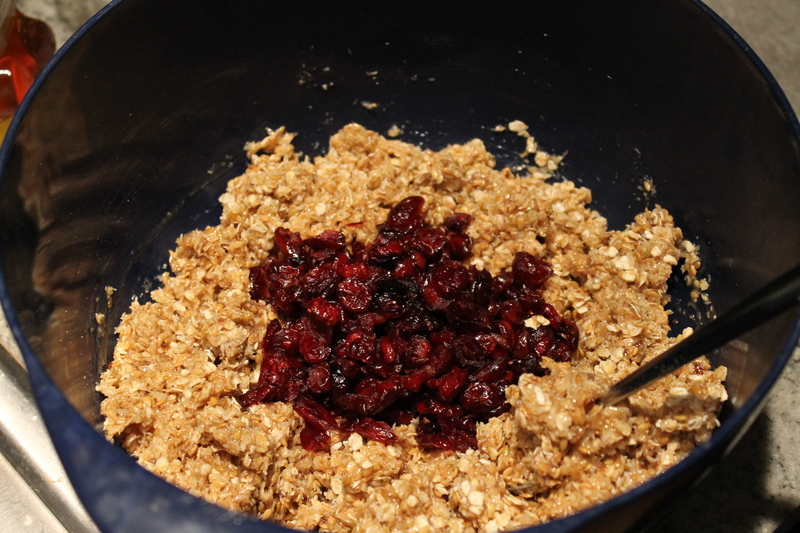 Bake the granola mixture for about 25 minutes or until slightly golden brown. If you are feeling like a little added deliciousness, chop up 3.5 oz of good dark chocolate, and sprinkle it evenly over the bars when they have about 5 minutes to go. When they come out of the oven, use the back of a spoon to smear the chocolate into a uniform layer. Then sprinkle with a bit of sea salt! Allow the block of granola to cool for at least 3 hours (or overnight!) before slicing into bars. Store them in an airtight container at room temperature and they will keep for at least a few days. These are perfect for breakfast on the go, or a mid afternoon snack! This entry was posted in Oats and tagged almond butter, breakfast, butter, coconut, cranberries, flax seeds, granola bars, honey, oats, snack. Bookmark the permalink.